Yesterday was Boxing Day - or Diada de Sant Esteve, as it's known in this part of the world. To celebrate the village went dancing in the Passeig del Mar. 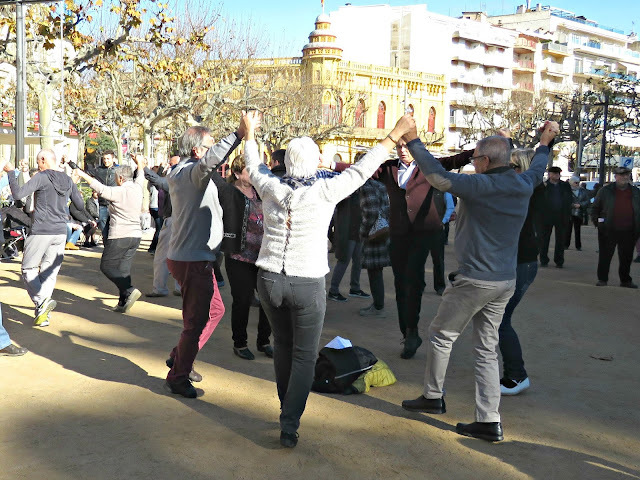 They laid on a live band, everyone brought their dog, and the young and the old and everyone in between came out to dance the Sardana in the bright Christmas sunshine. 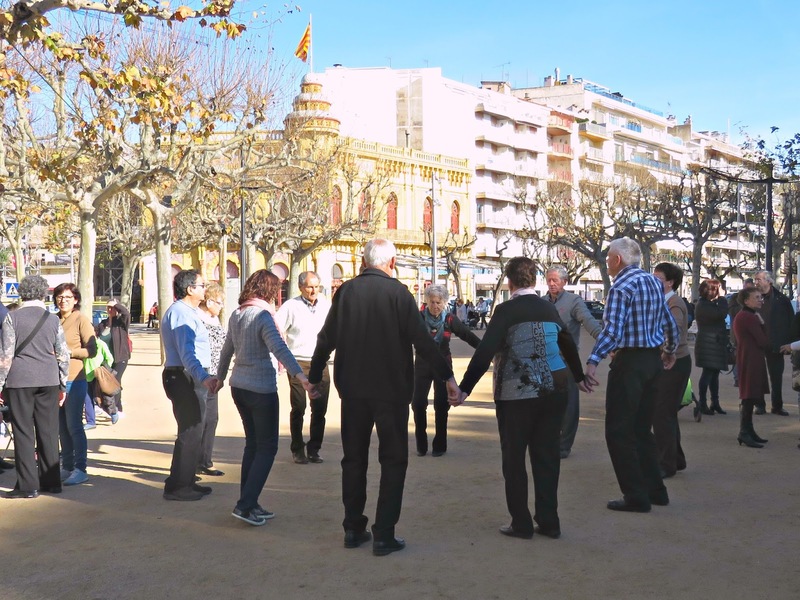 You see this is the home of the Sardana, the traditional folk dance of Catalonia. It all kicked off several centuries ago right here in the Empordá, and whenever there's a party there will always be a few Sardanes (plural) danced in the course of the merry-making. The dancers move in circles, holding hands. In each circle there is an experienced dancer, who leads the others through the steps. 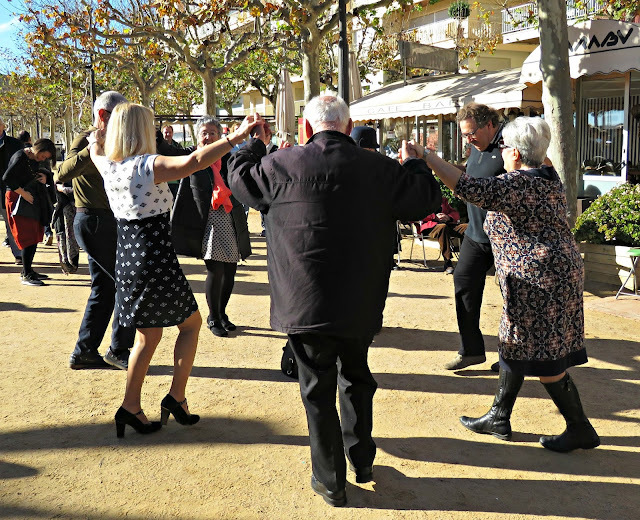 For the fast parts - the tirada de llargs - the dancers hold their hands at shoulder height, and for the slower parts - the tirda de curts - the dancers have their hands at waist height. On a very superficial level it doesn't look that desperately complicated, but when you get into the whole composition of the dance it's another world. There's an opening and a closing section and sections danced at different beats. It's far from simple or random. There's a whole framework of elaborate choreography that has to be followed. 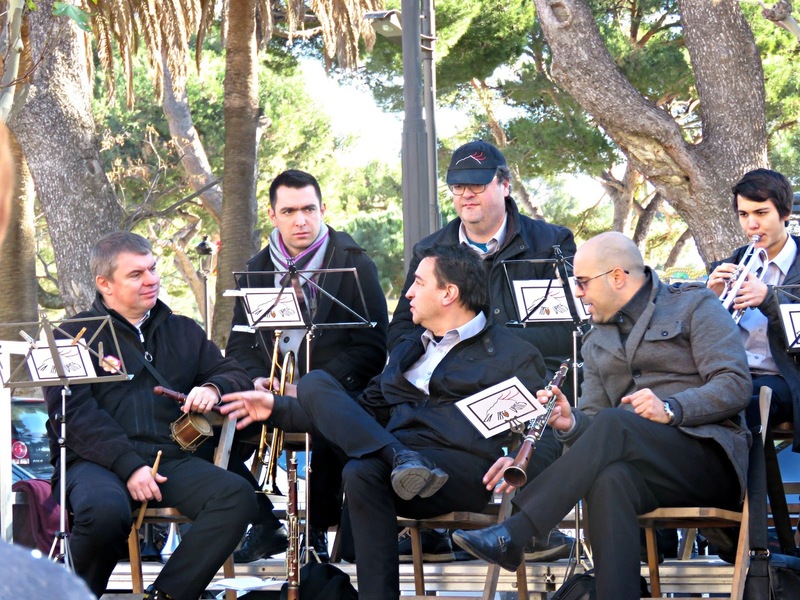 For any good Sardana party you need a Sardana band. And yesterday we had the real deal. They're called a cobla. They comprise 11 musicians and a drummer. There are 10 wind instruments, a double bass, and a drummer with a very, very small drum called a tambori. 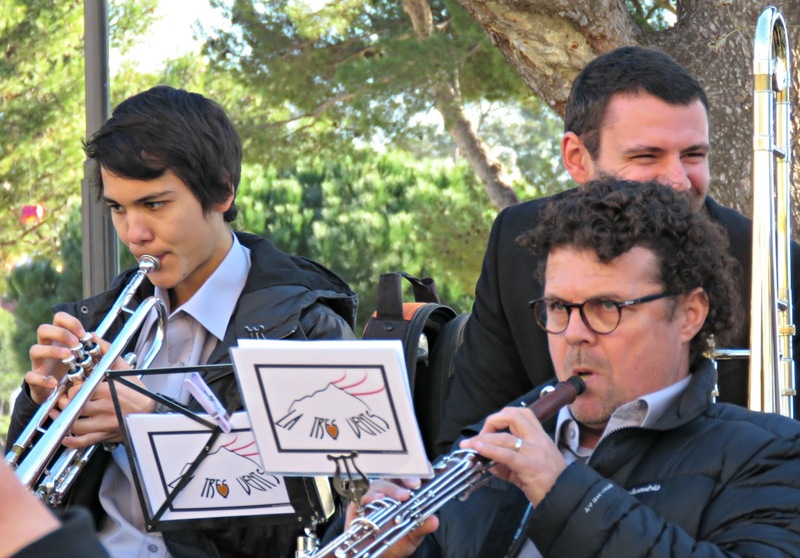 It was great fun, and a lovely slice of authentic Catalan culture to garnish our family Christmas.